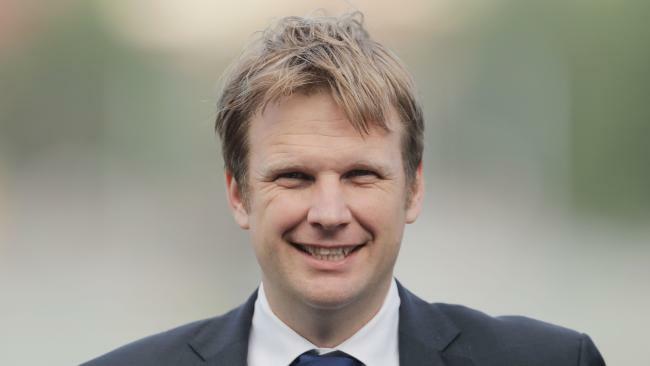 TRAINER Bjorn Baker hasn't given up on his Golden Slipper dream with unraced filly Rosina Kojonup as she begins her attempt to defy racing history in at Rosehill Gardens on Wednesday. First-starter Rosina Kojonup is by Shamus Award out of Courgette making her the younger (half) sister of glamour filly She Will Reign, winner of the Golden Slipper last year. 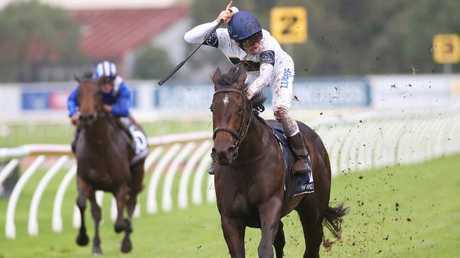 She Will Reign cost only $20,000 as a yearling and has become racing's ultimate "Cinderella story" winning the world's richest juvenile race, already earning nearly $3.2 million prizemoney. Rosina Kojonup went through the sale ring at the Inglis Easter Sales only a couple of weeks after She Will Reign's Golden Slipper triumph and not surprisingly fetched $425,000. Baker has only given Rosina Kojonup one barrier trial hitout ahead of her race debut in the 1100m handicap on Wednesday, with the filly scoring comfortably over 800m at Randwick on February 12. "It is a bit of an ask going straight to 1100m off one trial, I'm not discounting that, but she is a nice, filly, a natural athlete and we have to run,'' Baker said. "She is bred to handle a rain-affected track and the barrier (seven) is pretty good so I'm happy to start her. If Rosina Kojonup can emulate her older half-sister, She Will Reign and win the Golden Slipper, the fillies will become only the second set of siblings to win the big race after full-brothers Skyline (1958) and Sky High (1960). Rosina Kojonup is one of 17 juveniles making their debuts across two races at Rosehill Gardens on Wednesday - just 24 days before the Golden Slipper. In the 60 years since the Golden Slipper, no horse has won the big race so soon after making its race debut. Toy Show holds the record with just 31 days between her first start and her 1975 Golden Slipper triumph. Another two-year-old making her debut tomorrow is the Kris Lees-trained Miss Fabulass, a superbly bred filly by unbeaten English superhorse Frankel out of former champion filly Samantha Miss. Miss Fabulass, owned and bred by John Singleton, has looked impressive winning barrier trials at Gosford and Newcastle's Beaumont track in recent weeks. "She is a lovely filly with ability but she will get getter with time, as her pedigree suggests,'' Lees said. "We would like to give her a run (tomorrow) to see where she is at. If anything, she might be more a Sires filly than a Slipper hope.